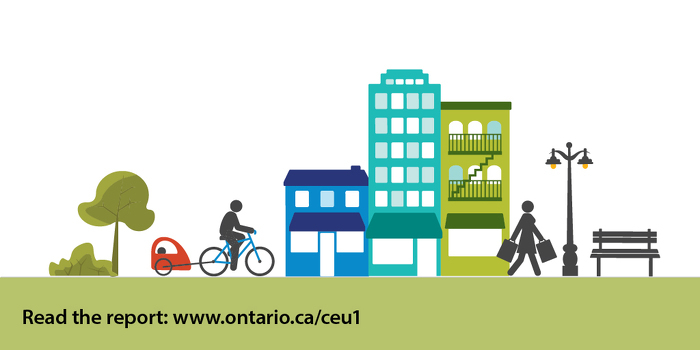 Ontario has received recommendations on how to build more complete communities in the Greater Golden Horseshoe area - Canada's fastest-growing urban region, the province's economic engine and the home of the Greenbelt. The advisory panel - led by former federal Cabinet minister and former mayor of Toronto David Crombie - was asked to provide advice as part of the province's co-ordinated review of land use plans in southern Ontario. 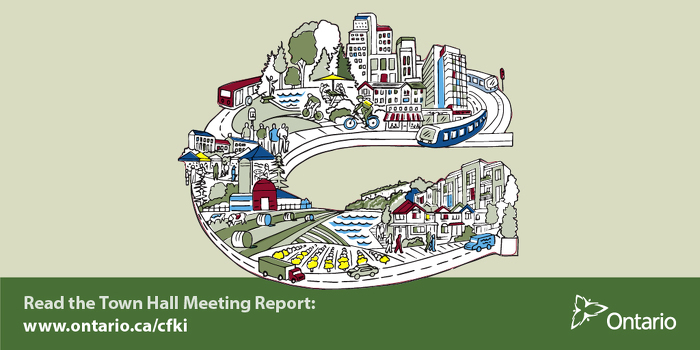 The panel's report is informed by public and stakeholder feedback from 17 town hall meetings, written submissions, research and by meetings with stakeholder groups and municipal officials. Ontario will review the advisory panel's recommendations and seek public input on any proposed amendments to the plans in early 2016. Building transit-friendly communities and supporting growth is part of the government's plan to build Ontario up. The four-part plan includes investing in people's talents and skills, making the largest investment in public infrastructure in Ontario's history, creating a dynamic and innovative environment where business thrives, and building a secure retirement savings plan. Panel members are: Keith Currie, Vice President, Ontario Federation of Agriculture; Rae Horst, former CAO, Credit Valley Conservation Authority; John MacKenzie, Deputy City Manager, Planning and Growth Management, City of Vaughan; Debbie Zimmerman, CEO, Grape Growers of Ontario; Leith Moore, Senior Vice President, Urban Fieldgate Homes. 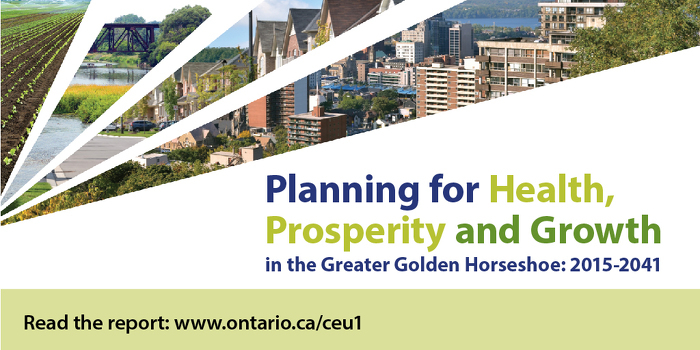 The panel provided advice on how to improve: the Growth Plan for the Greater Golden Horseshoe, the Greenbelt Plan, the Oak Ridges Moraine Conservation Plan, and the Niagara Escarpment Plan. The number of people living in the Greater Golden Horseshoe will grow from about 9.5 million people in 2015 to 13.5 million in 2041. It is Canada’s fastest-growing urban region. The Greater Golden Horseshoe accounts for 70 per cent of Ontario’s GDP. The Greenbelt contains over 800,000 hectares of protected land which includes Oak Ridges Moraine and the Niagara Escarpment. The measures outlined in the province’s land use plans have slowed the rate of the loss of farmland in the Greater Golden Horseshoe over the past 10 years. This document was published on December 07, 2015 and is provided for archival and research purposes.